Kick off Hoffenheim-Hannover 96 in 1. Bundesliga on today 14:30. Referee in the match will be Daniel Siebert. Team Hoffenheim is located in the middle of the table. (9 place). In 5 last matches (league + cup) team gain 6 points. 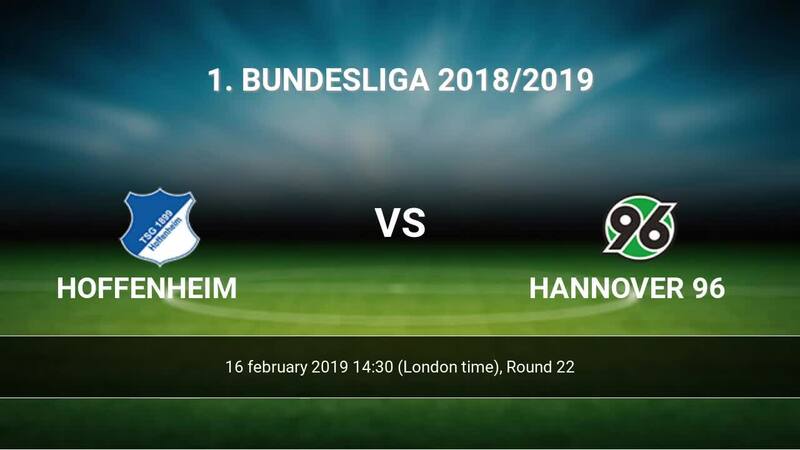 Hoffenheim from 5 matches at home can not beat any rival. Hoffenheim has not been defeated from 3 matches. 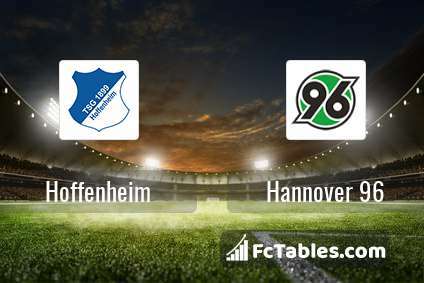 To defend Hannover 96 the most demanding players will be Andrej Kramaric 9 goals, Ishak Belfodil 6 goals, Reiss Nelson 6 goals, because this season they scored the most goals for Hoffenheim of the entire composition. Most goals developed: Andrej Kramaric 2 assists. Injuries in the team Hoffenheim: Lukas Rupp, Benjamin Huebner. The match will not occur Florian Grillitsch because they are suspended (cards, etc.). Team Hannover 96 is in the releagtion zone of the table. 17 position. In 5 last matches (league + cup) team gain 3 points. To defend Hoffenheim the most demanding players will be Ihlas Bebou 3 goals, Bobby Shou Wood 3 goals, Hendrik Weydandt 3 goals, because this season they scored the most goals for Hannover 96 of the entire composition. Most goals developed: Ihlas Bebou 3 assists, Bobby Shou Wood 1 assists, Hendrik Weydandt 1 assists. Injuries in the team Hannover 96: Edgar Prib, Ihlas Bebou, Kevin Akpoguma, Timo Huebers, Niclas Fuellkrug, Noah-Joel Sarenren-Bazee, Linton Maina. Direct matches: Hoffenheim won more direct matches. 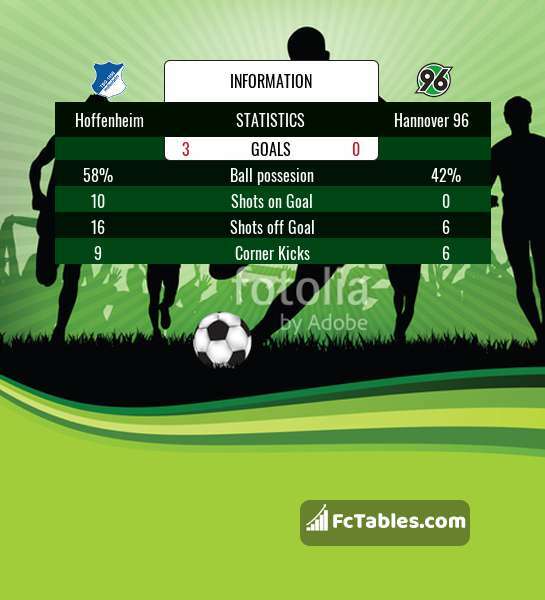 Hoffenheim won 12 matches , Hannover 96 won 6 direct matches, was a 2 draws. In 12 matches the sum of the goals both teams was greater than 2.5 (Over 2.5), and 15 matches teams scored more than 1.5 goals (Over 1.5). In 11 matches the both teams scored a least one goal (Both teams to score).